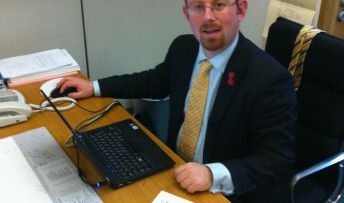 MP Julian Huppert’s fight to stop the tolling of the A14 has won him praise as “one of the most assiduous campaigners” in Parliament. Julian received recognition for his efforts from Chief Secretary to the Treasury Danny Alexander today (Wednesday, December 4) in the House of Commons after he congratulated the government on dropping plans to toll the Cambridge to Huntingdon stretch of the road. Since the plan was first revealed, Julian has fought to prevent it warning that it would lead to rat-running by heavy goods vehicles through Cambridge and surrounding towns and villages putting lives at risk. Julian said later: “I am pleased that my work has been recognised but even more delighted that plans to toll this road have been abandoned. “I have always thought this was an extremely bad idea. It would have led to heavy traffic using side roads to avoid the tolls causing untold congestion in the area and putting lives in danger. There is no doubt that we need safety improvements to save lives on this road but not at the expense of our city and our communities and their residents.